This file photo shows Bethenny Frankel, who traveled to Puerto Rico this week to deliver supplies to victims of Hurricane Maria. After traveling to Mexico last week to aid victims of the magnitude 7.1 earthquake that killed 369 people, Bethenny Frankel is taking her on-the-ground relief efforts to Puerto Rico. The "Real Housewives of New York City" star traveled to the island this week to deliver supplies to victims of Hurricane Maria. The television personality and Skinnygirl CEO chartered several planes to the U.S. territory filled medical supplies, water, canned goods, diapers, insulin and gift cards. In a blog post published on Bravo's website, Frankel said she also borrowed planes from wealthy friends, packing them with aid and supplies to send to the island. "And just like that, people just pull together. And then you're like, "I gotta fill this damn plane [and not waste any space or fuel]!" So Feeding America and City Harvest came with meals. Guardians of Rescue came with stuff for dogs. Someone came with insulin. I went to Costco for pediatric stuff. My friend, Warren, got us a satellite phone," she wrote. The support is being provided through Frankel's B. Strong charity in partnership with several organizations, including Delivering Good. She also announced the planes were being used to transport cancer patients and sick and wounded Puerto Rican residents in need of medical attention to the U.S. so that they can receive treatment. The reality television personality chartered four planes. Frankel's team filled three with medical supplies, water, cash cards, and non-perishables. She announced on Instagram that a fourth aircraft would bring medical patients from Puerto Rico so that they can receive medical care. Frankel has been documenting her experience and Puerto Rico's devastation through a series of videos on her Instagram account, where she is seen wearing a T-shirt that reads "#ThisIsACrisis." "It is like nothing I have ever seen," Frankel said in a video post. 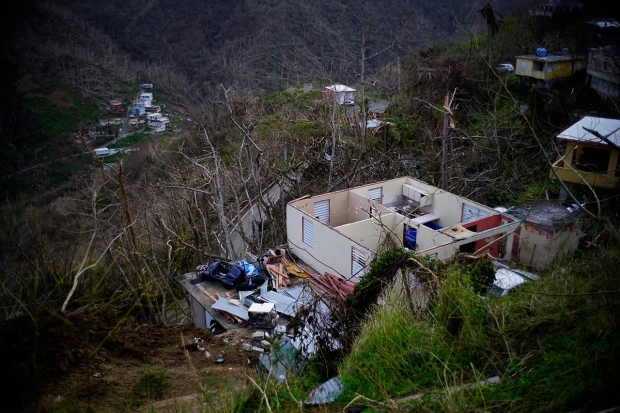 In an interview Wednesday with People magazine, Frankel likened the devastation on ground to a "war zone," noting residents on the island "are starving. They are thirsty. They cannot communicate. They cannot bathe themselves. They wash their babies and laundry in street water." The star reported to have received millions of pounds of supplies, but need planes to get them to Puerto Rico. Frankel is directing supporters to donate through her B. Strong charity. The site is currently experiencing slow load times due to an increase in traffic.